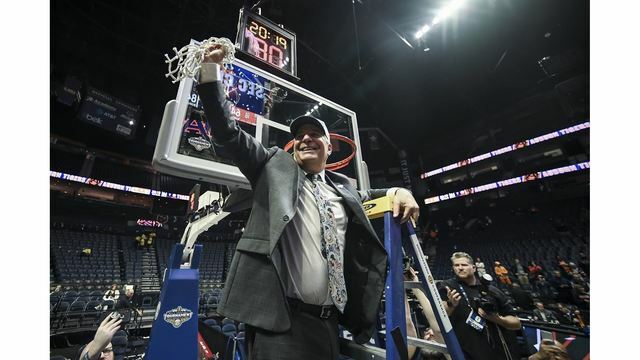 Auburn—Auburn Athletics has agreed to terms with men’s basketball coach Bruce Pearl for a new five-year contract, Director of Athletics Allen Greene announced Friday. The deal will take his contract through the 2023-24 season. In five years at Auburn, Pearl has led the program to its first-ever NCAA Final Four in 2018-19, a Southeastern Conference regular season title in 2017-18 and a SEC tournament title this year. Auburn has won 74 games over the last three seasons, the most over a 3-year span in program history, and Pearl is the first coach at Auburn to amass 100 wins in his first five seasons at the helm. “I would like to thank President Leath, Allen Greene and the Board of Trustees for their belief. The investment in me and my staff demonstrates their support of the men’s basketball program moving forward. I’m happy and blessed to be at Auburn and live in this wonderful community,” Pearl said. Auburn has produced 18 graduates over the last four seasons, which is the most in SEC during that span. The Tigers received an Academic Progress Rate Public Recognition Award marking the first time Auburn has been honored since the award began tracking data in 2004. The NCAA annually honors teams earning multiyear Academic Progress Rates in the top 10 percent of all squads in each sport. Auburn has sold out of season tickets all five seasons with Pearl at the helm, something that had only been done once in program history prior to Pearl’s appointment.